Take control of your Porsche with the AugTronic Plug and Play ECU Upgrade! The Augtronic ECU upgrade gives the benefits of a modern engine management system without the associated difficulties and cost of installation and setup. The restrictive and often worn out air flow meter is removed and replaced with our optional Turbo Intake Tube. The performance, response and economy of standard engines can be improved significantly and the path for further modifications is opened! 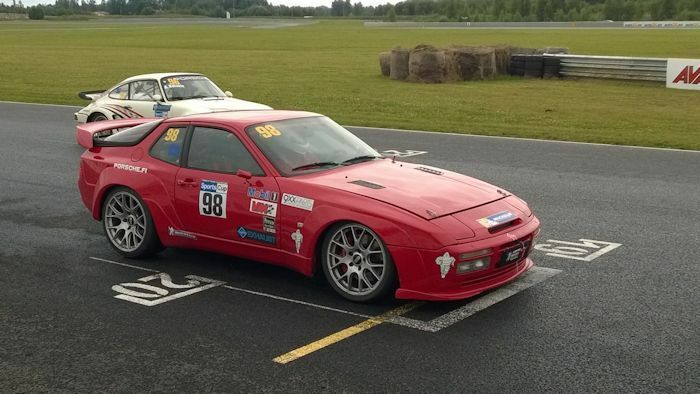 We can support all the 8V models including the 944 Turbo also providing an easy route for 16V engine swaps. 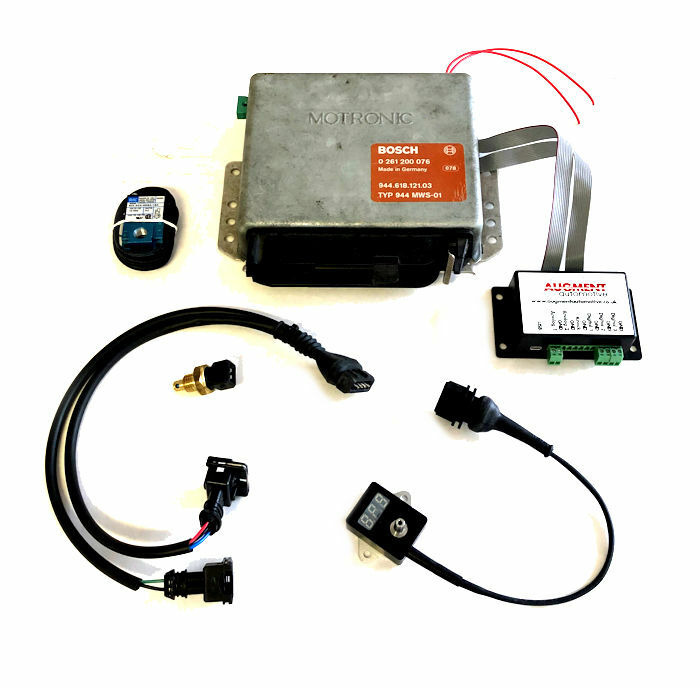 AugTronic opens up a route to tuning your standard or modified engine to its optimum. 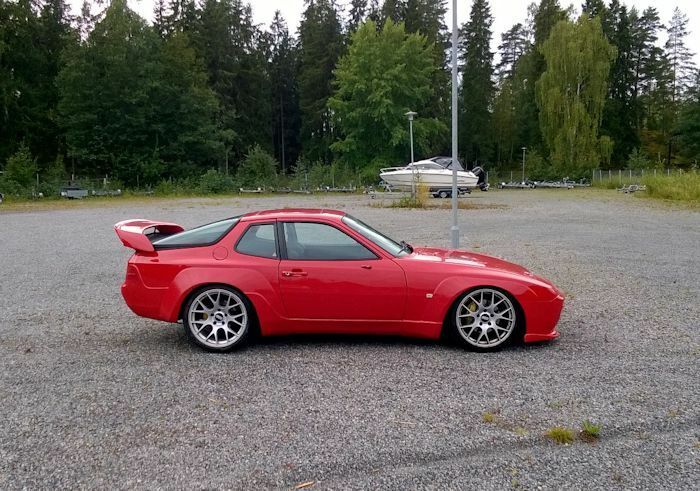 Explore camshaft upgrades, head work, forced induction upgrades and more on your Porsche 944 with AugTronic safely and effectively controlling fuelling and ignition to achieve optimum performance and economy. Tested and proven for normally aspirated and forced induction engines on the road, track, dynamometer and the infamous Nurburgring! Wasted Spark Ignition for a stronger more reliable spark! Designed and built by Augment Automotive in 2012 Augment Automotive 3D Tuner is our approach to a user friendly and effective tuning and data logging product. One of the key design parameters was to help users visualise what the DME is doing with respect to engine operation and gain insight on how to adjust the parameters to achieve the desired outcome. To this extent the map data is presented in 3D with freedom to view the maps from different angles to gain maximum insight into the engines requirements. An indication is given of the current operating point on each map or calibration table to to aid with live tuning. All manipulation of grid values, including mapping sites, is done within the 3D environment. All measured and calculated engine parameters are displayed in a customisable gauge system that allows the user to select and position gauges for the desired parameters as well as setting alarm thresholds. These parameters can also be viewed in a graphing mode which allows easy monitoring of the engine during transients and steady state conditions. Graphs can be viewed live and paused and rewound. A CSV log file is also written to disk. Take a look at the following video and see what the Augtronic ECU can open up for you tuning. This full package of features has never before been made available for the 944 in a single product, let alone one with such a simple installation. The Augtronic ECU is the result of reverse engineering and re-designing the microprocessor board within the Bosch Motronic ML3.1 control unit. Retaining a refurbished factory power board gives a reliable interface to the factory wiring loom. Replacing the microprocesor board allows us to place a high speed and feature rich modern microcontroller at the heart of the system. The replacement of the original processor lets us achieve things not possible with other available products and provides a solution with far better integration into the vehicle. This creates a product that integrates with minimal modifications to the factory wiring loom yet provides the features and performance of a modern engine management system. Refer to our Tech Garage for additional videos, installation information and maps.